An inner child meditation is a type of meditation that can help you heal from the inside out. 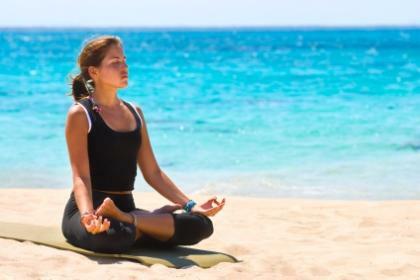 There are many different types of meditations, some of which involve imagery or affirmations. An inner child meditation tends to focus on healing or affirming your inner child. This thought process is based on the fact that many people receive wounds in their childhood that they haven't come to terms with or they may find that they are still unconsciously acting out those past hurts. An inner child meditation strives to heal that wound so that you can be "released" to be the joyous, loving person that you want to be. To be sure, many people do scoff at taking part of an inner child meditation, but those that are avid practitioners claim that the benefits of trying this type of meditation heavily outweigh any of the perceived skepticism. Has suffered any type of trauma in their childhoods. Trauma can be a relative term ,so this can encompass a wide swath of individuals. Are longing to reconnect with your inherent creativity. Young children tend to be naturally creative, but unfortunately, sometimes you can receive messages in adulthood that frown upon that creativity. This meditation can be a unique and novel way to begin tapping into that creativity. Folks that want to try something new. Whether you are a longtime practitioner of meditation, or are finding it for the first time, this specific kind of meditation can prove to be beneficial and enjoyable. In that sense, why not try it? You may find that you actually enjoy it! Several sites have samples of these meditations. At Healing Incarnations, you'll find some background about meditation itself, as well as what you can expect it to do for you. Within the introduction the site also discusses the different ages that you may want to focus on. This is a fairly lengthy meditation that is very thorough, and you may also appreciate the fact that the meditation is very comprehensive from start to finish. A section called Words of Wisdom for daily affirmations. Find plenty of information on 1-Healing.com. Besides having a very thorough meditation script, you'll also find different articles and suggestions on energy healing, natural healing and shamanic healing. Along with a section devoted to specific shopping items, you'll also find meditations that involve working though your feelings, dealing with a broken heart, and dealing with anxiety and panic attacks. There's also an intriguing section entitled Healing Sleep that places a heavy emphasis on hypnosis. If that is something that interests you, you may want to check this site out. Meditations that deal with healing your inner child is an intriguing and unique way of conducting your meditation practice. Trying this meditation may lead to a healing of long-buried emotions, and may allow you to feel more deeply than ever before. With benefits like that a distinct possibility, it's easy to see why some may want to choose this particular script.